Sugar Scrub creates a gentle exfoliation, which can assist in evening out skin tone, while removing unwanted imperfections. Apply in a circular motion to help enhance blood circulation. Our luxurious blend of coconut and safflower oils provides a hydrating and revitalizing exfoliant for your skin. Add your own custom blend of PürBlends™ oils, or one of our exclusive Signature Blends, to make this a one-of-a-kind experience. 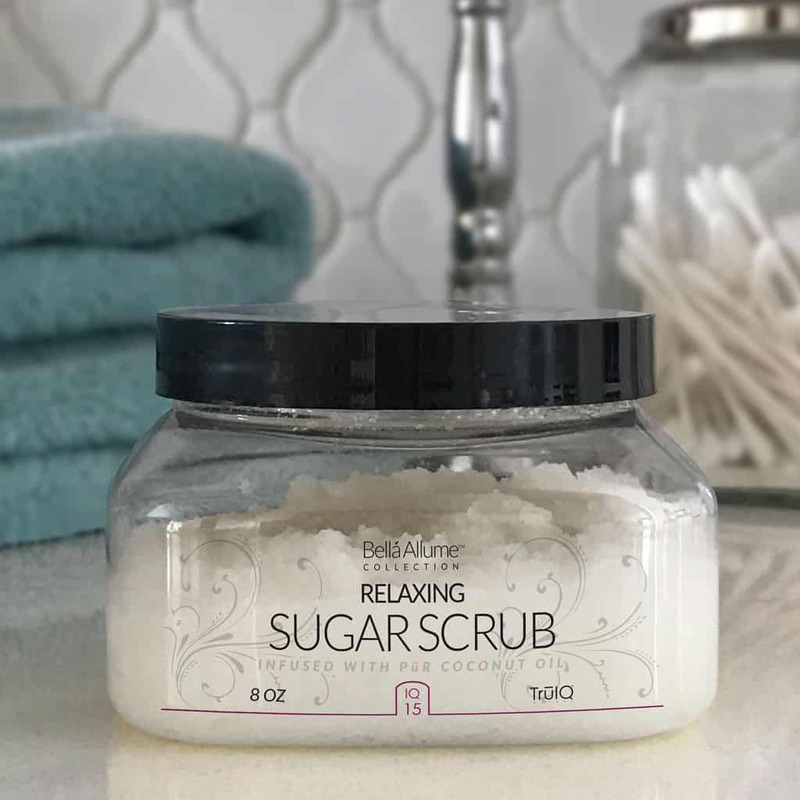 Sugar Scrub creates a gentle exfoliation, which can assist in evening out skin tone, while removing unwanted imperfections. To Use: Massage Sugar Scrub to wet skin, paying close attention to particularly rough areas. Rinse thoroughly and follow with Body Mist, and either Body Lotion or Body Butter for touchably-soft skin. Ingredients: Sugar, Coconut Oil, Safflower Oil, Cetyl Alcohol.